You’re most likely to develop joint pain in your knees, hips, and shoulders, but no matter where it arises, joint pain can restrict movement and make it impossible to get through your normal daily routine. The doctors at Garden State Pain Control have extensive experience alleviating joint pain from diverse causes and in any joint in your body. Their expertise in interventional pain medicine means they offer specialized treatments that significantly relieve joint pain. If you’d like more information, call one of their offices in Edison, Clifton, Hazlet, or Jersey City, New Jersey, or book an appointment online. When joint pain isn’t severe or chronic, it often responds to over-the-counter pain relievers, heat and cold applications, and physical therapy to promote motion and alleviate inflammation. If your joint pain doesn’t heal in two to six weeks, or it’s due to a progressive condition, you may need advanced pain relief. 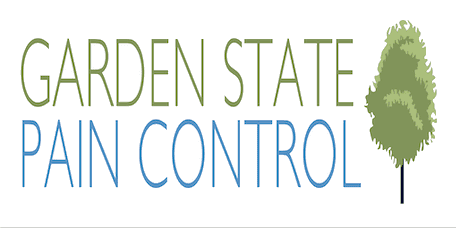 The team at Garden State Pain Control specialize in treatments administered directly to the cause of your pain. After medical treatment relieves your pain, and you can move comfortably, they also offer physical therapy and rehabilitation to strengthen your joints and promote better function. Steroids reduce inflammation and swelling, which alleviates joint pain. They may be injected into the joint, tendons, and bursa, which is a fluid-filled sac that acts as a cushion and reduces friction between structures in your joints. Your doctor at Garden State Pain Control uses ultrasound to guide needle placement during a steroid injection. A peripheral nerve block consists of an injection of anesthetic on or near the nerve causing joint pain. This type of injection is very effective but only temporary, and it’s often used diagnostically to verify which nerves, if any, are responsible for your pain. Nerve blocks may be used alone to temporarily relieve pain, injected along with steroids for longer pain relief, or followed by radiofrequency ablation, which uses heat to block signals in the targeted nerve. How does platelet-rich plasma treat joint pain? Your blood contains cells called platelets, which are packed with proteins called growth factors. Growth factors are essential for wound healing because they stimulate the production of new cells and tissues. Platelet-rich plasma (PRP) is plasma that contains more platelets than normal. It’s easily developed by drawing your blood, separating out the platelets, then adding the platelets back to a small amount of plasma. When PRP is injected into your painful joint, your doctor at Garden State Pain Control uses ultrasound to guide the needle to the precise injection site. The injected platelets trigger the growth of new tissues to replace damaged tissues, speed up healing, and help reduce inflammation. PRP is a safe and effective treatment that’s used for joint pain, arthritis, and tendon, ligament, and muscle injuries.